November 2014 – Decrepitude and Other Beautiful Images……. 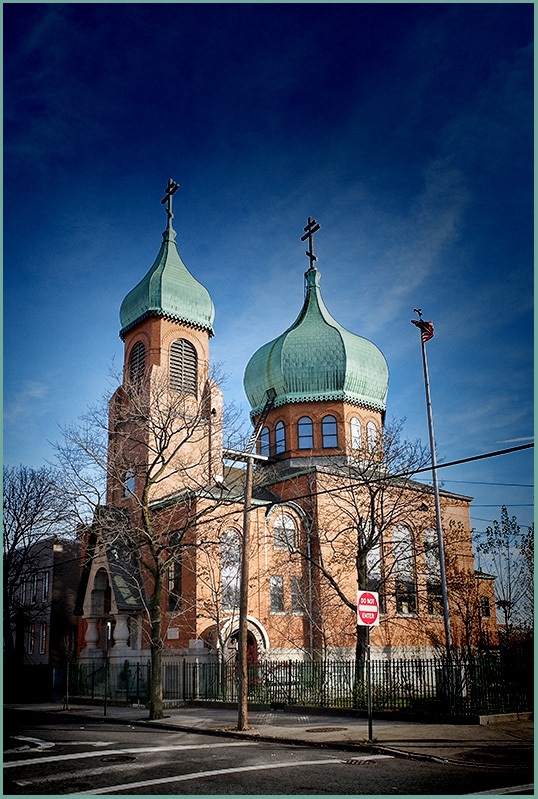 The Holy Trinity Russian Orthodox Church in Brooklyn, has been around for as long as I can remember. My father used to drive us down Pennsylvania Avenue heading to the Interboro Parkway, and each time I would pass, I would look on in awe. Yesterday I was heading to meet some friends to do some shooting in Bushwick, Brooklyn. As I passed the church and saw a nearby parking spot I decided to see if the church was open. Lucky for me, it was. 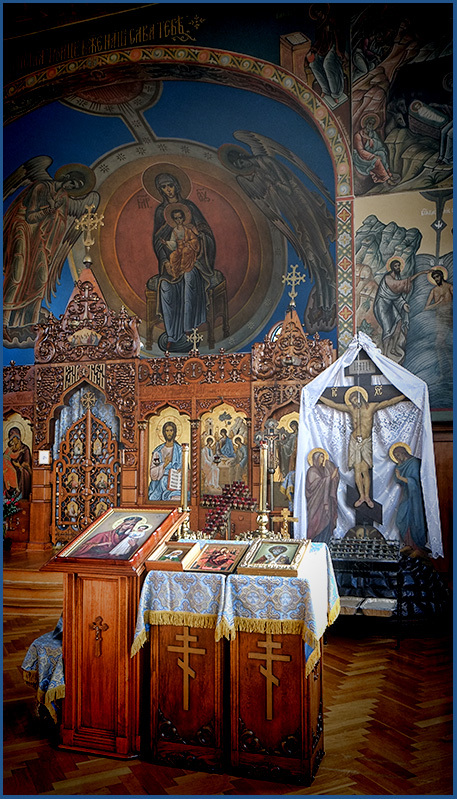 I walked in expecting to see a large chapel but instead I found a room about 50′ X 50′ in size, no chairs or benches but with the most spectacular religious images, icons, relics, etc… To say the least I was floored. All I could do for the first several minutes was stare, walk around to see all of the objects and try to keep my jaw from dropping. When I finally got around to begin shooting the priest arrived and asked that I not continue shooting. So, at least I have these memories and I am able to share the two images I was able to shoot.